I never thought green tea and peanut would taste so wonderful together! For the roll recipe of today I originally wanted to use nuts like almonds and hazelnuts but my papa ate them, sigh, and left me a bag of peanuts. Green tea and peanuts? To do or not to do? I could have easily leaved it out but I want crunch in my rolls too. I’m glad I didn’t leave out the peanuts because oh Lord: the bitterness of the green tea and the sweetness and roasty taste of the peanuts are a match together. Thank you dad for not eating the peanuts! 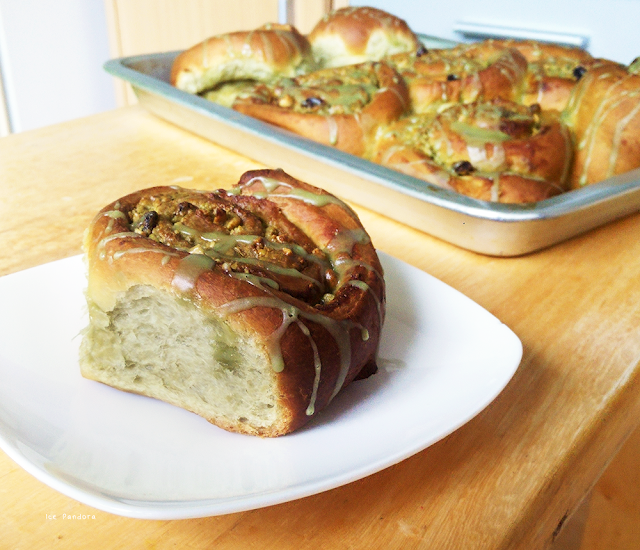 This matcha green tea flavour roll with peanuts and a bit of raisin filling were a great Christmas dish but is also great for every daily breakfast or lunch (or midnight snack) food! Nooit gedacht dat groene thee en pinda super lekker smaakt samen! Voor de broodjes recept van vandaag was mijn oorspronkelijk idee noten zoals amandelen en hazelnoten te gebruiken, maar papalief at ze allemaal op, zucht, behalve de zak met pinda's. Groene thee en pinda's? Zal ik het doen of niet doen? Ik kon ze makkelijk weglaten, maar ik wilde ook heel graag wat bite hebben in mn broodjes. De pinda’s gingen toch erin en wat ben ik er heel blij mee! 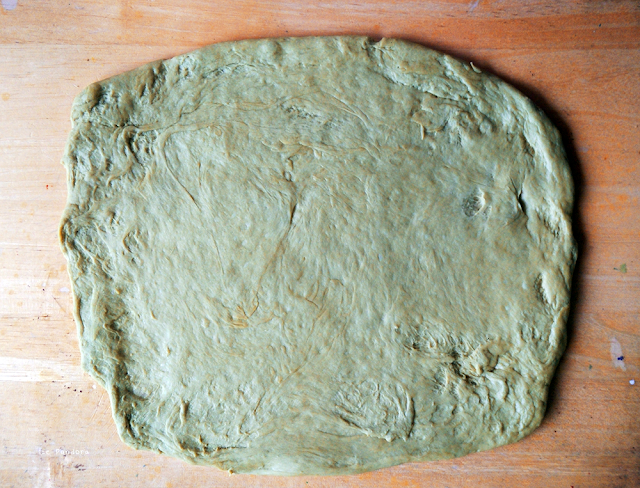 De bittere van de groene thee en de zoetheid en de geroosterde smaak van de pinda's zijn een match voor elkaar. Papa, bedankt voor de zak pinda’s! 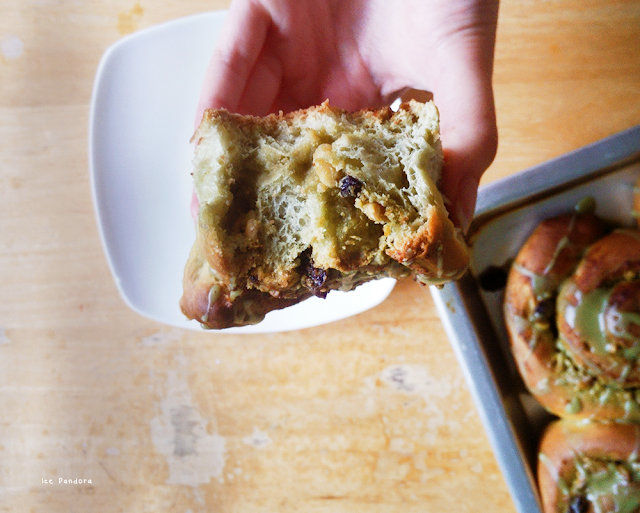 Deze matcha groene thee broodjes met pinda's en een beetje rozijn waren heerlijke Kerst bijgerechtjes maar natuurlijk ook lekker voor allerdaags ontbijt of lunch! 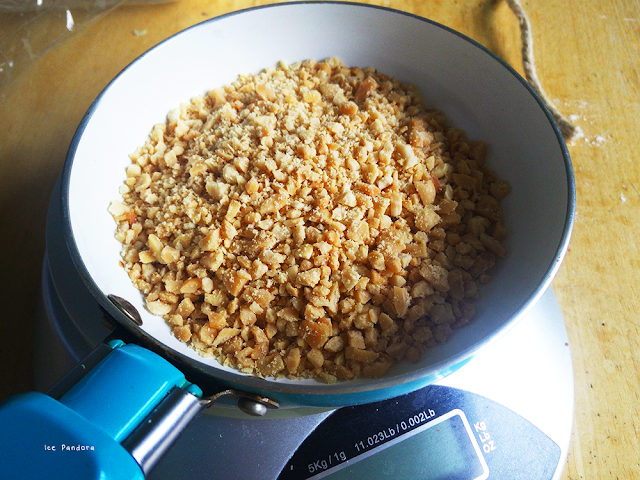 In a large bowl goes in: flour, yeast, green tea powder and salt - mix thoroughly and add the butter. 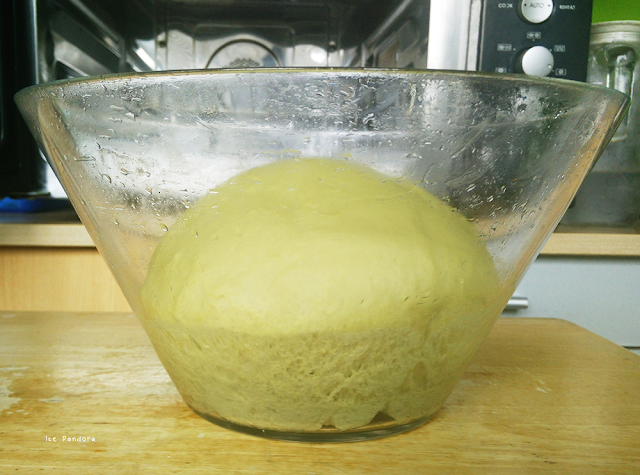 Then add the beaten egg and milk and mix and kneed everything for about 5 minutes until a combined workable dough. Dough too wet? Add 1 tbsp. of flour. Add the oil and kneed for another 5 minutes. Meanwhile make the filling: get a saucepan with boiling water ready. On top goes a heatproof bowl (make sure it doesn't touch the water) that forms a lid for the pan. 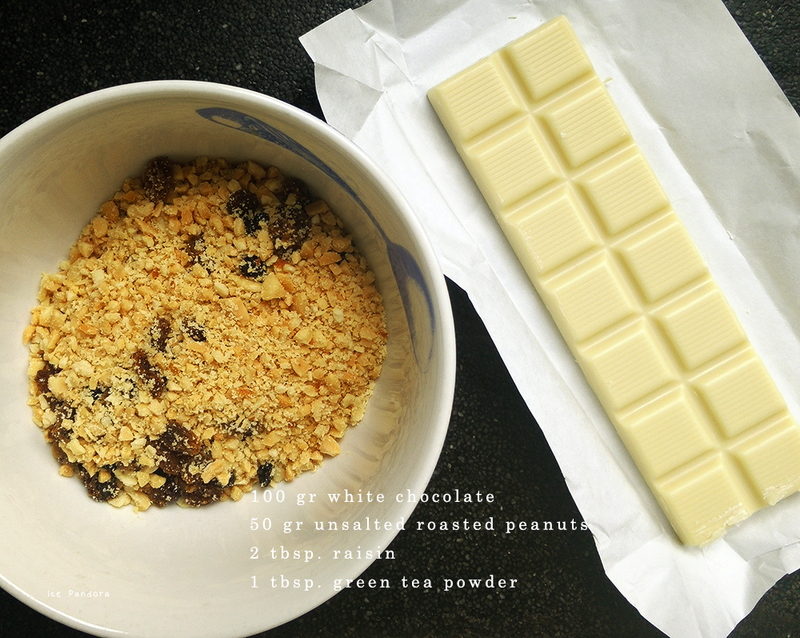 In the bowl you melt the white chocolate and then add the rest of the filling ingredients. Combine and set aside. 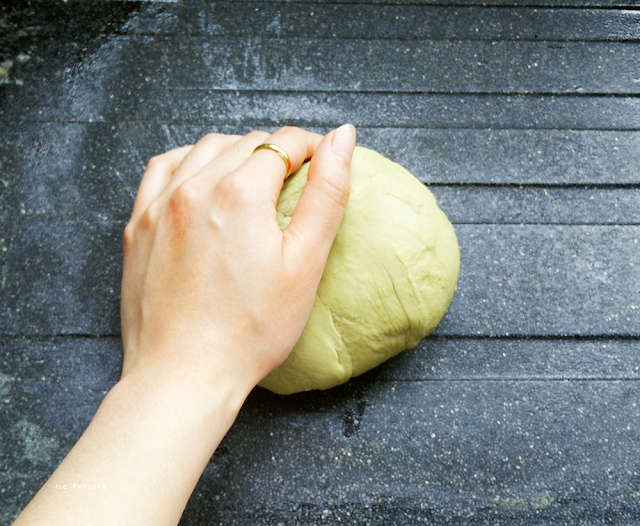 Bake the rolls for about 30 minutes until golden brown. 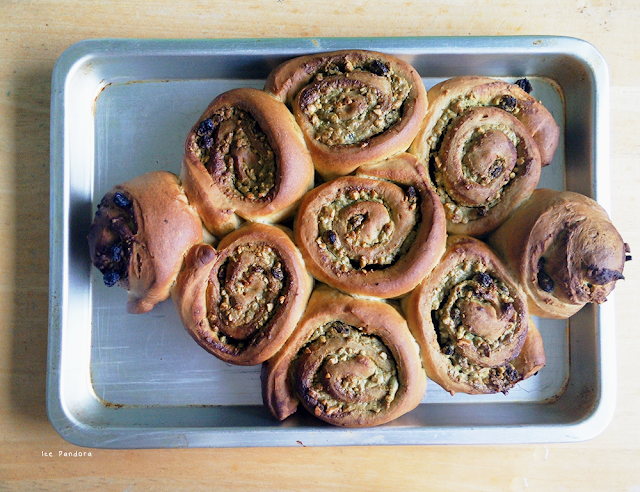 Let the rolls cool off a bit and serve! 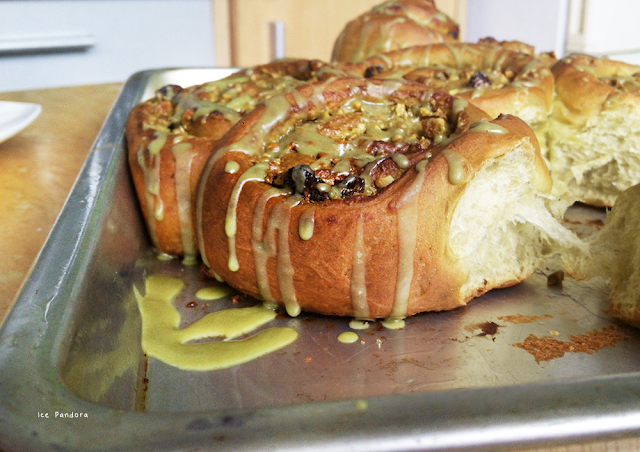 Optional: garnish with (green tea) glaze! 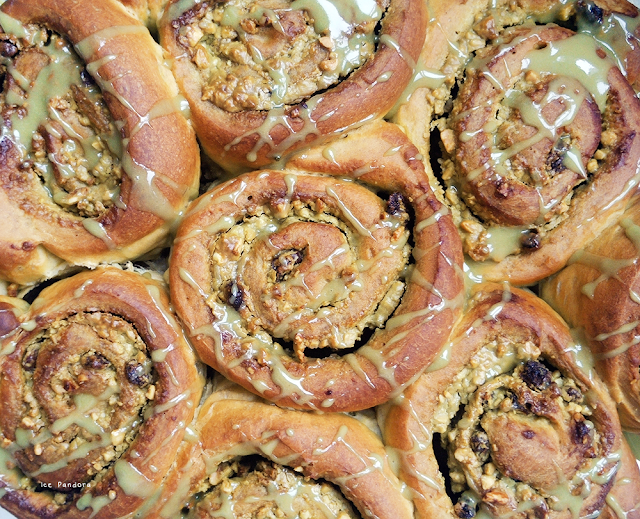 your bun baking is a success.. They look so fluffy and delicious! Great job!! These turned out looking so good! I've never thought of trying green tea and peanut butter together before.